There’s a traditional French saying that proposes, “Qui n’avance pas, recule,” or “He who does not advance, recedes.” Henri Lurton, owner of the century old Grand Cru Classé Château Brane-Cantenac in Margaux, France, took that adage to heart when he decided to begin producing new vintages in Baja California. 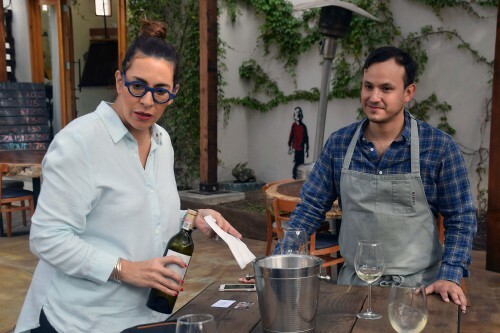 During their scouting tour, Lurton and Martinez were heavily focused on discovering just the right terroir–not just the soil, but also the topography and climate of a location–that would allow them to take their winemaking techniques in a new direction. “We found a few nice vineyards, but nothing we really liked.” Martinez continued. Perhaps emboldened by their initial lack of fruition, she suggested to Lurton that they consider her home municipality of Ensenada for their new project. 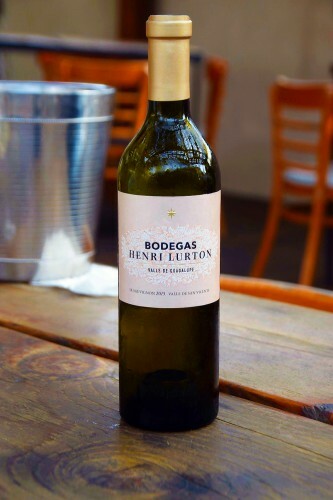 In 2017, Bodegas Henri Lurton introduced their first vintage, which includes four 2015 monovarietals—a Chenin Centenario, Sauvignon Blanc, Chenin Blanc, and Nebbiolo. The Nebbiolo is notably more refined and contains less of the earthy taste than some regional versions of this Italian grape. It’s Henri Lurton’s whites, however, that are getting the attention of many, especially their Sauvignon Blanc. Given the difference between Baja California and Bordeaux terroir, in some instances Bodegas Henri Lurton decided to forego classic French winemaking techniques, instead following the often-lawless nature of Baja’s best winemakers. For Bodegas Henri Lurton, the difference between the two regions allows them to create vintages that set them apart from other Baja California wines, while granting them the freedom to stray from staid Bordeaux tradition. Bodegas Henri Lurton is currently building a tasting room in the Valle de Guadalupe, with future plans to potentially build a small hotel. 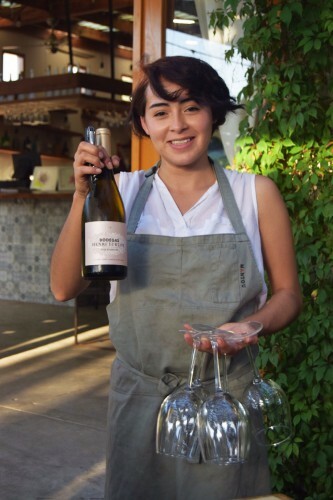 The new wines are available at most Ensenada and Valle de Guadalupe restaurants, as well as in wine bars and shops throughout Ensenada. 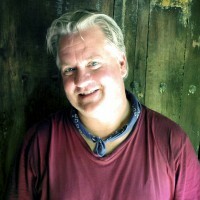 San Diego based lifestyle writer W. Scott Koenig founded AGringoInMexico.com in 2012 to report on Mexican travel destinations, food, culture and adventure. He is also a columnist for DiningOut San Diego, SanDiegoRed.com, and DiscoverBaja.com. Scott is the Food Expert for Tijuana and the Valle de Guadalupe for ExtremeFoodies.tv, (formerly FoodieHub), an international culinary site curated by over 275 global experts. Scott organizes and conducts culinary tours of Baja California, and has helped fix film and video productions in the region — working with the BBC, KPBS, and the Culinary Institute of America on recent projects. Scott has built a bi-national network of culinary professionals, business leaders, tourism officials, media agencies, writers, and photographers to assist in promoting business, education, and the arts in the San Diego/Baja California mega-region. Scott is also the owner of Koenig Creative LLC and has over 30 years of experience in marketing, creative direction, and graphic design.